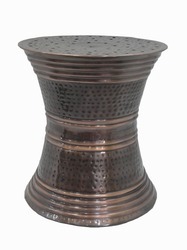 Our range of products include metal garden stool, wrought iron stool, metal tripod table, bone & horn table, brass coffee table and iron chair. 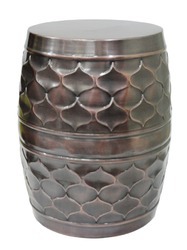 Conceding to the demands and requirements of our clients, we come with Metal Garden Stool that is highly demanded for its alluring design. 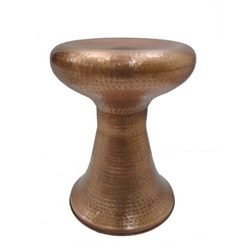 Known for its smooth finish, portability and durability, the whole range of metal garden stools offered by us is highly demanded in the market. 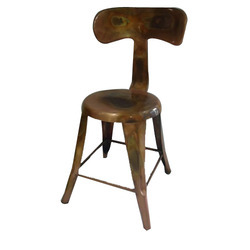 In addition to this, this offered supreme quality stool is highly regarded for its dimensional stability. We are the renowned manufacturer and exporter of Wrought Iron Stool that is manufactured in the strict supervision of the experts. 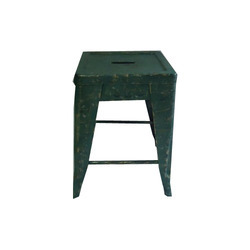 This powdered coated stool is highly regarded for its long lasting life and superior finish. 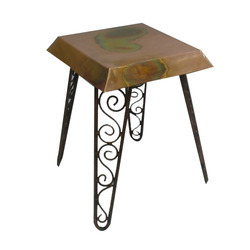 In addition to this, the entire range of qualitative wrought iron stools offered by us is widely appreciated for its unique designs and dimensional stability. We are reckoned for manufacturing and exporting Metal Tripod Table that is widely highly regarded for its dimensional stability. Light in weight, it is portable in its characteristics. Known for its superior finish, this offered table is highly acclaimed in the market. Moreover, the range of metal tripods offered by us has amassed intense praise for its long lasting life and resistance to corrosion. We specialize in the manufacturing and exporting of Bone & Horn Table that is manufactured in adherence to the prevailing market trends. Dimensionally stable, it is widely praised in the market. Owing to its durability and fine finish, our offered range of bone & horn tables offered by us is highly demanded. 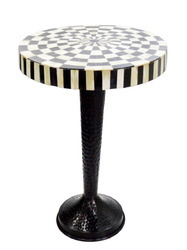 Owing to its durability, this offered bone and horn table has been a preferred choice of our clients. 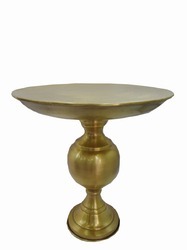 Our organization is engaged in offering superior quality Brass Coffee Table to our prestigious customers. Our organization is engaged in offering superior quality Iron Chair to our prestigious customers. 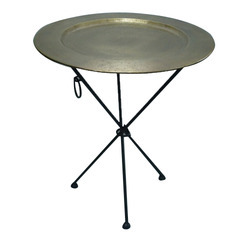 We are a credible name to offer a high quality Metal Garden Table that is highly popular in the market. 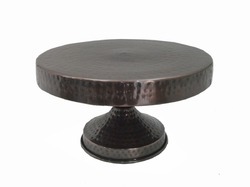 Known for its dimensional stability, this offered garden table is highly acclaimed in the market. 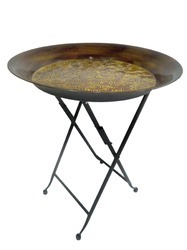 Attributing to its long lasting life, attractive design, and fine finish, the whole range of the metal garden tables offered by us is widely regarded among the clientele we hold.